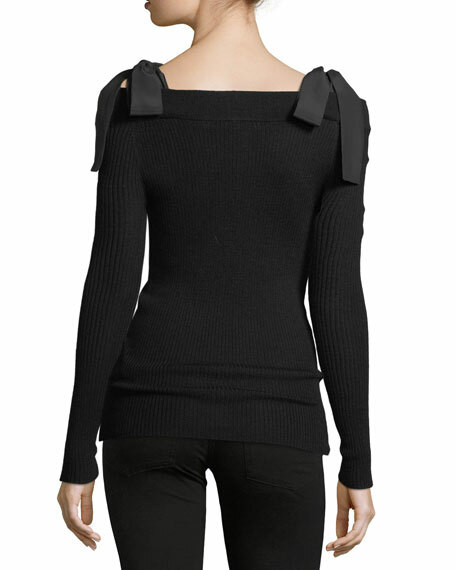 Rebecca Taylor rib-knit sweater in merino wool. Off-the-shoulder neckline with ribbon ties. For in-store inquiries, use sku #2450032.